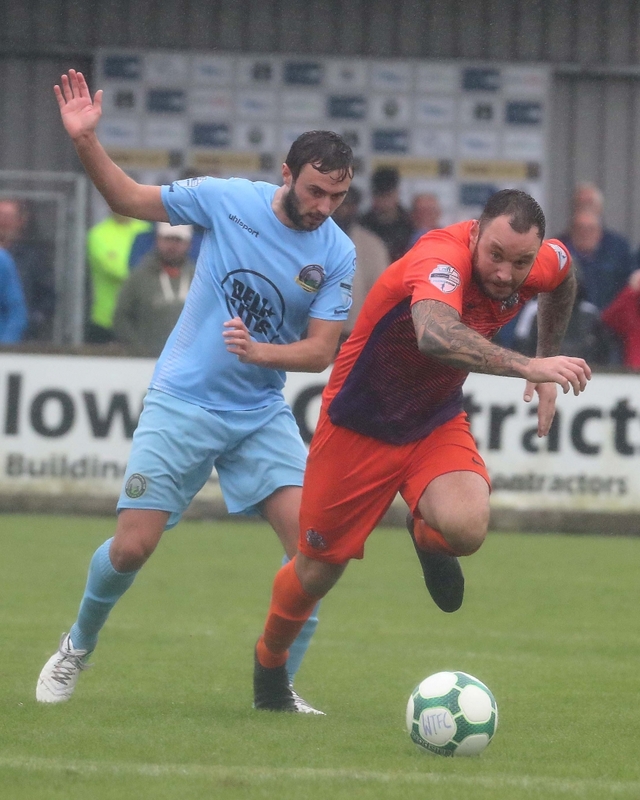 Glenavon recorded their first league win of the season on Saturday with an emphatic 4 – 2 victory over Warrenpoint Town at Milltown. 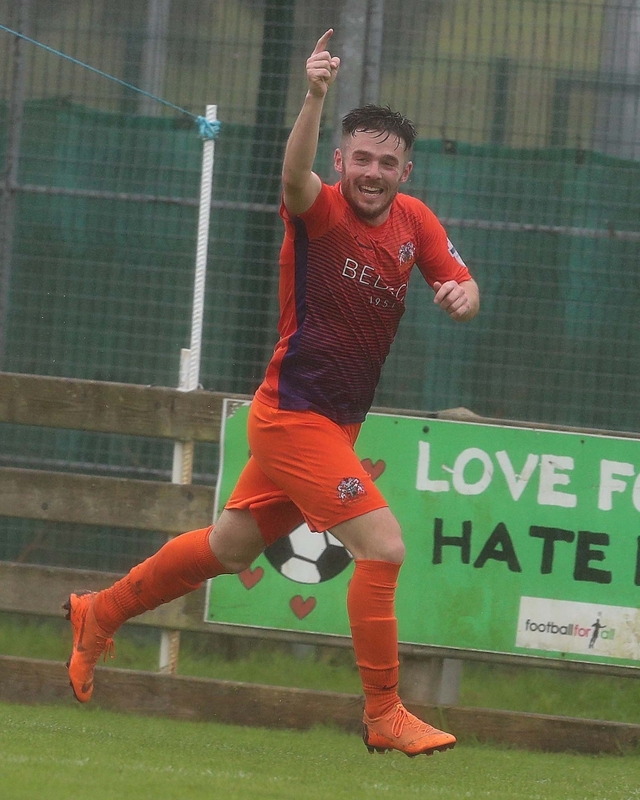 It was the home side who took an early lead when Alan O’Sullivan struck on 11 minutes, but the Lurgan Blues turned the game on its head with two goals in the space of three minutes from Mark Sykes and Steo Donnelly just after the half-hour mark. The visitors then doubled their lead on the stroke of half-time when the excellent Andrew Mitchell got his first of the afternoon. 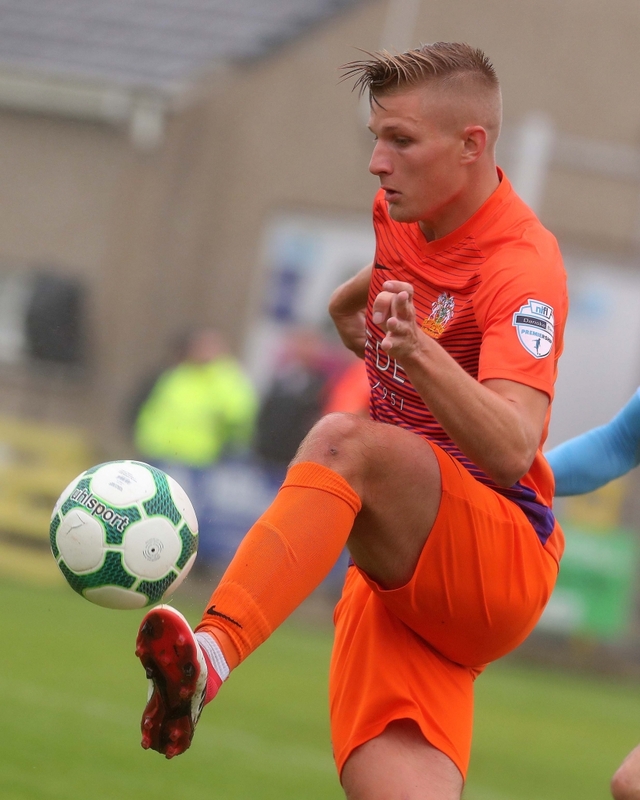 Substitute Conall McGrandles headed in from a corner to reduce the Point’s deficit to just one goal on 74 minutes, but Mitchell struck again just two minutes later, pouncing on an error by goalkeeper Jonathan Parr to ensure that Glenavon left with all three points. 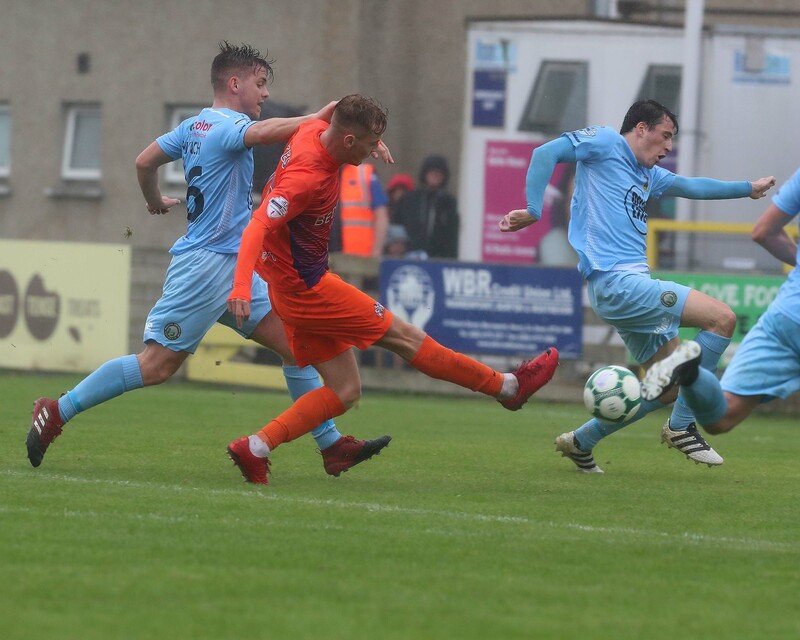 Both teams looked threatening in the opening minutes of the game, with Fra McCaffrey almost releasing O’Sullivan for Warrenpoint and Mitchell volleying a Niall Grace cross straight at Parr for Glenavon. The hosts went in front in the 12th minute. Gavin Brennan played a ball down the line which McCaffrey flicked on with his head into the path of Ciaran O’Connor. O’Connor burst past Andrew Doyle before crossing to find McCaffrey, who had continued his run into the penalty area. The midfielder’s shot was well blocked by Caolan Marron, but O’Sullivan picked up the loose ball and cleverly beat Doyle by feinting to shoot with his right foot before firing the ball in at Jonathan Tuffey’s right-hand post with his left. Glenavon pressed for an equaliser as the half wore on. 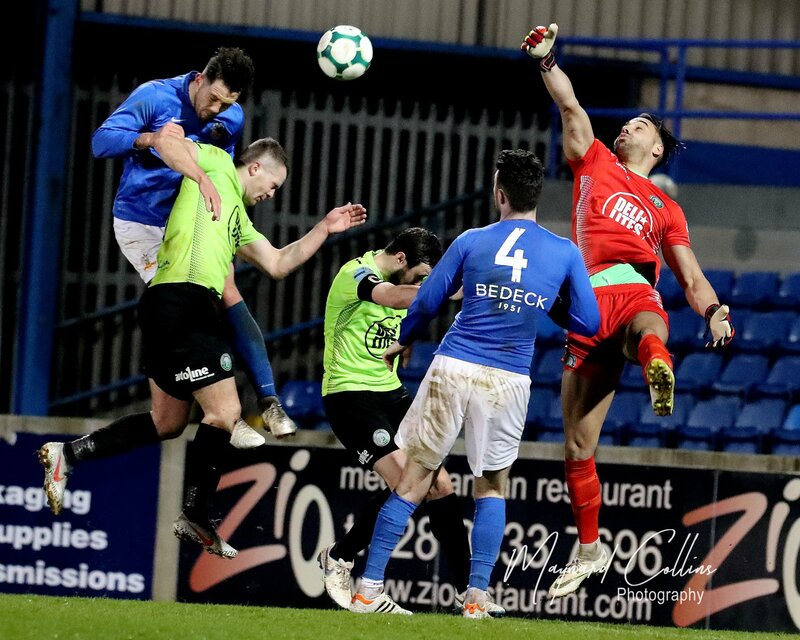 Doyle should have done better with his header from a Hall corner on 22 minutes, while Rhys Marshall set up Sykes a minute later after a brilliant drag-back took two Warrenpoint players out of the game, but the midfielder’s shot was blocked on the edge of the box. Half an hour in Donnelly picked out strike partner Mitchell with a cross, but he could only direct his header over the bar while under pressure from Parr. Mitchell was involved once more when the equaliser finally arrived in the 33rd minute. He flicked Tuffey’s long ball on with his head for Sykes to run onto and Glenavon’s number 10 curled a right-footed shot beyond the dive of Parr into the far corner. 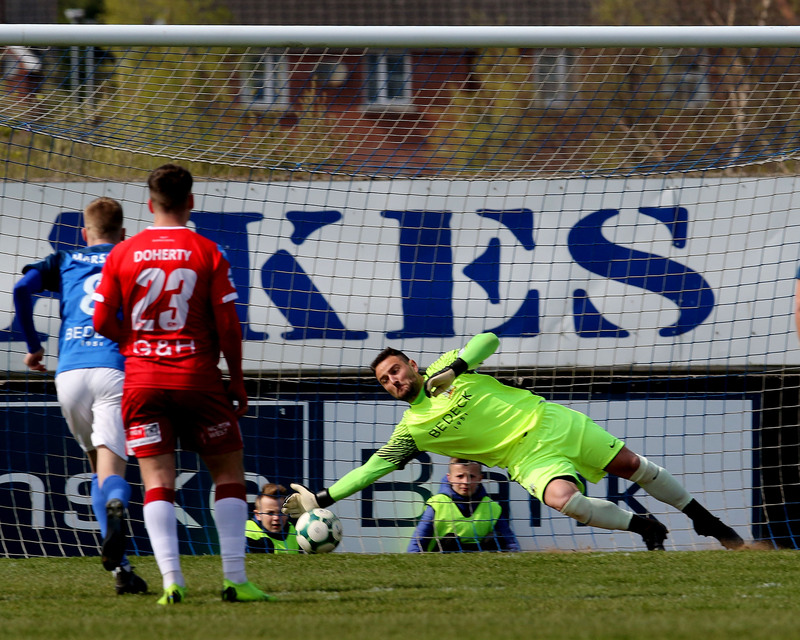 Mitchell was again the provider three minutes later when Glenavon took the lead. 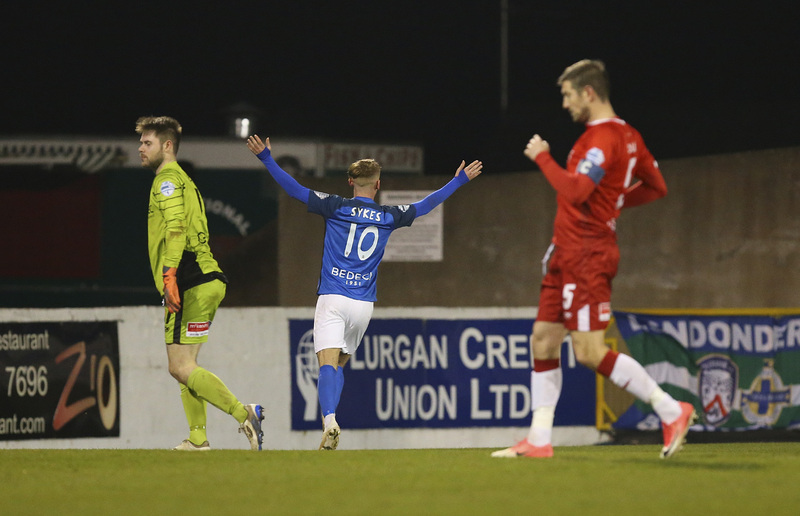 He outmuscled Stephen Moan on the left flank before squaring the ball for Donnelly to tap in for his first competitive goal for the Lurgan Blues. Having set up the first two goals, in the 45th minute it was Mitchell’s turn to get on the scoresheet himself, and it was a goal of real quality. Hall played him in with a superb through-ball and Mitchell coolly slotted a first-time finish past Parr to double Glenavon’s lead heading into the break. Four minutes into the second period Donnelly saw a great effort from distance go narrowly over Parr’s crossbar, while a minute later Hall’s cross went just beyond the head of Mitchell. 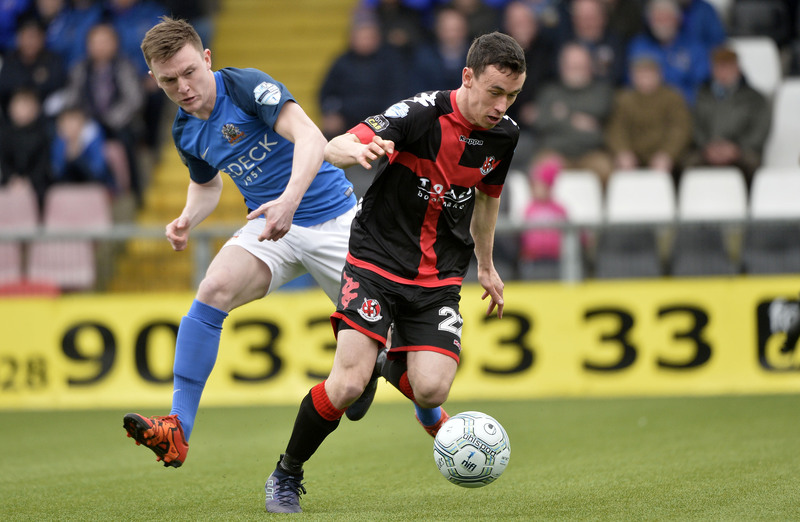 The introduction of the impressive McGrandles seemed to tip the balance of play back in the home side’s favour and the midfielder pulled a goal back for the hosts in the 75th minute when he rose to meet a corner-kick swung in by fellow-substitute Eamon Scannell and headed the ball past Tuffey. However, any hopes of a fightback for the home side were dashed a minute later when Mitchell grabbed his second goal of the game. Josh Daniels played a long ball over the top for Mitchell to run onto and Parr came rushing off his line to try and clear the danger, but having travelled outside his penalty area he had to try and head the ball away. 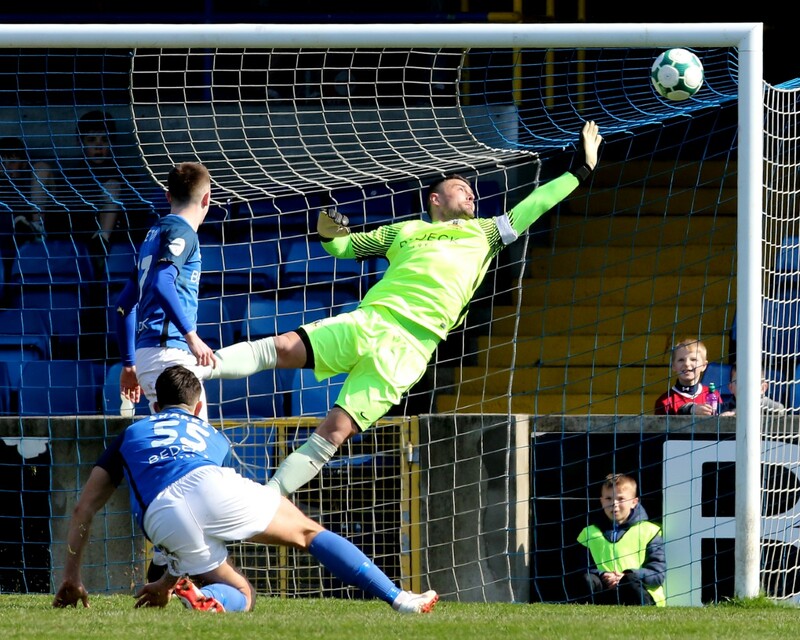 The goalkeeper got it all wrong and Mitchell latched onto the loose ball and slotted into an empty need to restore Glenavon’s two-goal lead. Parr atoned for his error by denying Mitchell a hat-trick in injury time with an excellent save. First he had to dive down to his left to save Hall’s well-struck free-kick, then he quickly sprang up to brilliantly thwart Mitchell’s follow-up effort. 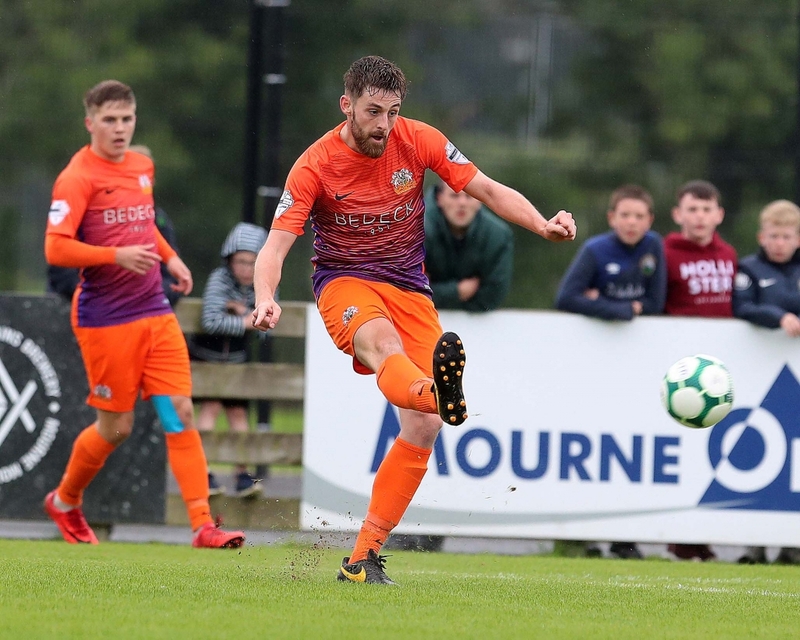 Glenavon boss Gary Hamilton said in the build-up to Saturday’s game that his players needed to be more clinical in front of goal, so he will be delighted with their four-goal haul at Milltown. The performance of Mitchell will have been particularly pleasing for the Glenavon manager. His centre forward was in simply unplayable form, being directly involved in all four goals, and Hamilton knows that if Mitchell continues to play like that he can expect the goals to flow. Glenavon are on the road again on Friday night (August 17th) when they travel to newly-promoted Newry City (kick-off 7.45pm).